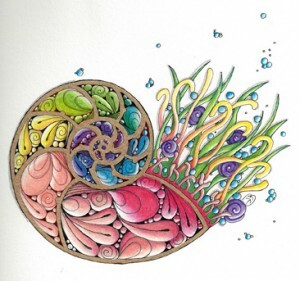 Join me as we move beyond the world of Zentangle tiles and Zendalas into the world of the Zentangle Opus Tiles and Zentangle Inspired Art (ZIA). In this class, we will work on the 10.5″ x 10.5″ Opus tiles, which are crafted from the same luxurious paper as Zentangle Tiles. As with my other color classes, we will use Prismacolor pencils, and all the additional supplies you need for the class will be provided in the course fee. 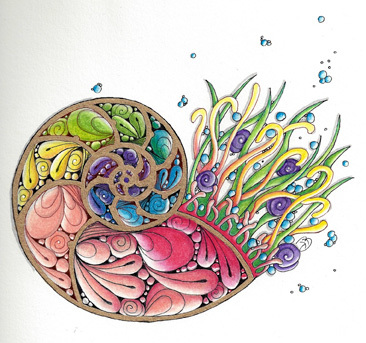 As with all my classes, Zentangle Basics is the required prerequisite, and everything needed beyond the tools you’ve already received is included in the class price (including mini-Prismacolor pencils for the class tiles). If you would like to include even more color that what is provided in class, I will have sets of 24 Prismacolor Pencils available for sale for $25 (list price is typically around $45). Please note that the class fee does include the mini Prismacolor pencils you will need in class, and that no further purchase is required. This class is a four-hour class, offered as an entire afternoon’s workshop, and as a two-evening class series. To find the next available class, go to the Full Class Listing page.